Available in 3/64 and 1/16 oz. Price for 1/16oz with #1 hook 2-pack $2.52, 6-Pack $6.86 & 20-Pack $21.77. FEATURES: The Crappie GrubMaster Jigs in 1/16 & 3/64 oz sizes. The Crappie GrubMaster does not simply attach itself, but rather becomes an integral part of the plastic body by fitting completely inside. The Crappie GrubMaster is an "insert jig", a new category of jigs that fit snugly inside a wide variety of bodies including Gene Larew® 1-1/2" Spider Grubs, 1-1/2 & 2-1/2" Tubes and 2 & 2-1/2" single and twin tail grubs. The Crappie GrubMaster has a unique, weight centered body. Unlike power heads and ball jigs that plunge head first vertically, the weight centered GrubMaster falls slowly and horizontally, keeping the bait in the strike zone longer. This phenomenon makes it easier for suspended Crappies to inhale the bait. Additionally, the horizontal orientation gives the bait a unique gliding, swimming action, like real baitfish. 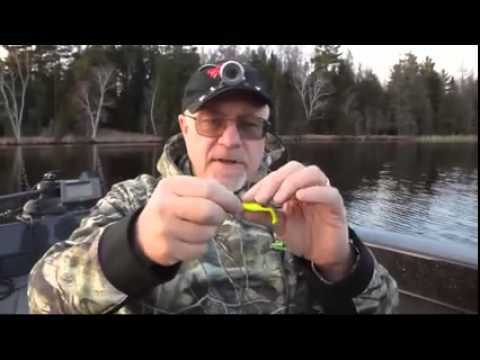 The horizontal position of the hook provides positive, roof of the mouth hook sets that Crappies can't easily shake. 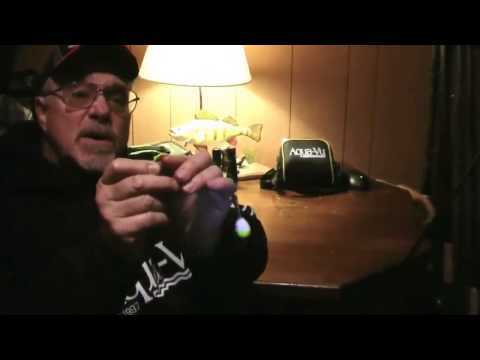 Now Crappie Anglers can create their own custom colors. The Crappie GrubMaster is designed to enhance the color of plastics with Create-A-BaitTM. The Create-A-Bait concept is an exciting new look in jig and grub color combinations. The placement of a uniquely colored GrubMaster, inside a transparent plastic body, allows the jighead to shine through and provide background color. This phenomenon, Create-A-Bait, can either subtly enhance or completely transform the color of plastics. Color combinations are limited only to the imagination. Now the innovative Crappie angler can match the hatch by creating a limitless number of custom color patterns by simply mixing and matching jigheads and plastic tails. The Crappie GrubMaster excels in weeds and wood. The horizontal orientation and forward eyelet allows the jighead to slip through wood and weeds where crankbaits, spinners and other lures are less effective. The Crappie GrubMaster is ideal for light and ultra-light presentations. Versatility can be achieved by varying the retrieve and jigging motion. Slow to fast or a steady retrieve, shallow to deep, start to stop and in-between, all in one bait. The Crappie GrubMaster features VMC® performance hooks. A variety of 2-tone colors and 2 sizes are available, 1/32 oz - #4 hook and 1/16 oz - #1 hook. Featuring a variety jigheads in 3/64 and 1/16 oz. and the Hot New Gene Larew® 1-1/2" Crappie Spider and tubes in 1-1/2" and 2" sizes.